Florida Lodging --->>Fl HOME PAGELodgingB & B'sCondominiumsHotel MotelsVacation RentalsCoastal Ga.
Fl ~ Golf ~ Vacation Rentals ~ Hotels ~ Real Estate! 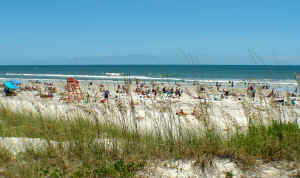 Florida ~ Visit or Relocate ~ Stay a night, a weekend or a lifetime! 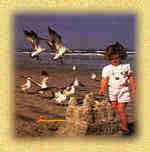 Our site NEFLA.COM is a guide for visitors and new residents to Florida vacation rentals, hotels, lodging, golf, real estate, restaurants, employment, personals, professional services, apartment and home rentals, antiques, museums, beaches, calendar of events, education, golf courses, genealogy, marinas, military information, medical facilities, parks and camping, places of worship, photos, photographs, recreation, entertainment, retirement, resources, resources, shopping, sight seeing, transportation, yachting, weather information, and maps throughout Fl If you want it and we do not have it, tell us and we will try to find it for you. For your real estate needs, our associates can show you ~ ANY ~ property for sale in the area you want to buy!! We provide a friendly, helpful experience for all your Florida golf, real estate, vacation rentals, hotels, lodging, restaurants, home buying, home selling, retirement, employment, personals, professional services, apartment and home rental needs. Florida information for visitors and new residents on golf real estate, vacation rentals, Fl hotels, lodging, restaurants, employment, personals, professional services, apartment and home rentals, antiques, museums, beaches, calendar of events, education, golf courses, genealogy, marinas, military information, medical facilities, parks and camping, places of worship, photos, photographs, recreation, entertainment, retirement, resources, links, shopping, sight seeing, maps, transportation, yachting, weather information, hospitals, retirement and more throughout Florida. Florida Vacation Rentals, A visitor and new residents guide to Fla Vacation Rentals! To be on this web site? You can plan your visit or re-location to Florida, right here! Northeast Florida Beaches, rivers, forests, Fl golf courses, Intracoastal waterways, real estate, lakes, sports, marinas, campgrounds, state parks, bed and breakfasts, military bases, Florida pest control Low Unemployment ! Florida is obviously one of those places that has a little something for everyone. With countless attractions and vacationers with agendas just as unique, it is important to choose quality accommodations that suit your needs. Florida timeshares are located close to all attractions across the entire state including scenic beaches and amusement parks including Disney. A timeshare will allow you to enjoy your holiday to the fullest by providing convenient luxury (like full kitchens, private bedrooms and multiple baths) at a low cost, comparable to most hotel rooms. Holidaymakers throughout the United States, there is always a point of contention, an age-old debate if you will, and that's whether to hit the beaches in Florida or the SouthEast US. Pensacola Beach and Perdido Key are part of Gulf Islands National Seashore, the largest tract of protected seashore in the country. Throughout our site, we offer vacation rentals, real estate, golf vacations, homes, retirement, university of florida, golf association, orlando golf, orlando, tampa, golf, south florida, golf courses, naples fl, Disney vacations, hotels, medical facilities, military bases, photos, photographs, maps, hospitals.